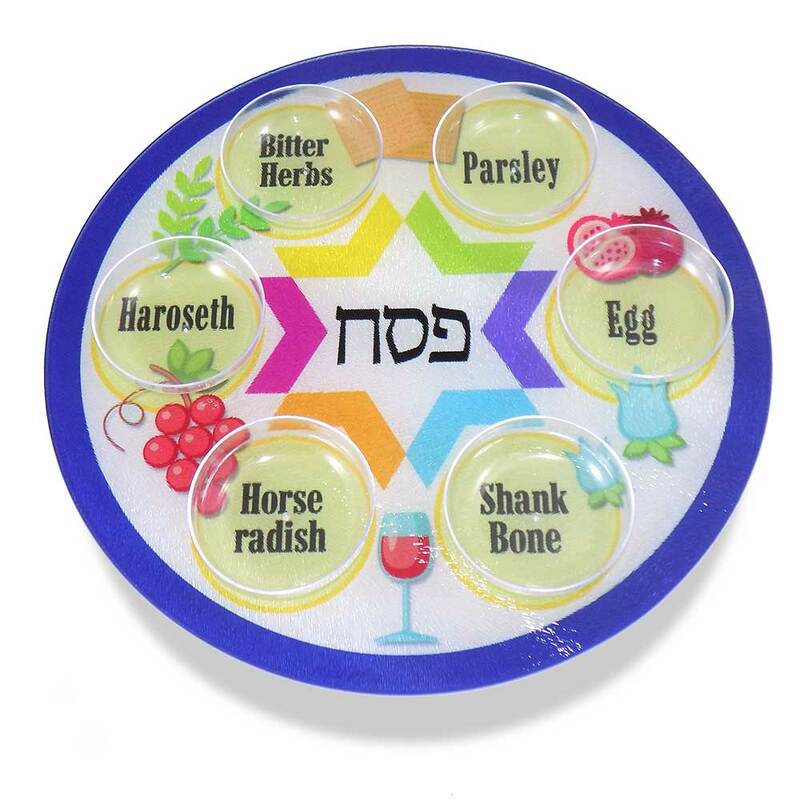 A Traditions Jewish Gifts Exclusive Design, This Flat Tempered Glass Seder Plate Features A Colorful Graphic With A Clear Designation For Each Of The Seder Foods. 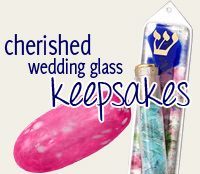 A Set Of 6 Clear Plastic Dishes Are Included To Hold Your Seder Foods. 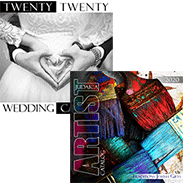 This Seder Plate Is Made In America By Artist; Liane Fried And The Whimsical And Bright Design Will Enhance Any Seder Table. 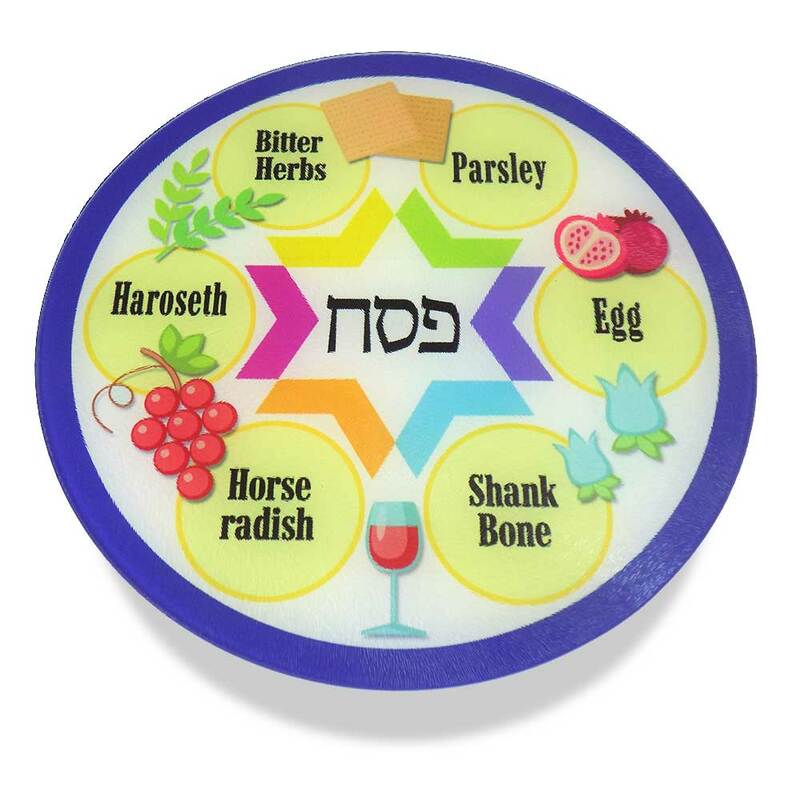 The Seder Tray Measures 11 3/4" In Diameter. The Tray Itself Is Flat And Has Small Rubber Tabs On The Underside Of The Plate.